Why Choose an In-Drawer Knife Block? In need of more counter space? Or is your knife drawer currently an enter-at-risk-of-impalement hazard? Save the fingers with our in-drawer knife block! Thankfully, Noble Home & Chef took all of these things into consideration when designing their in-drawer knife block! Now you'll have the counter space to try out that 20-ingredient, 42-step recipe you've been meaning to whip up! 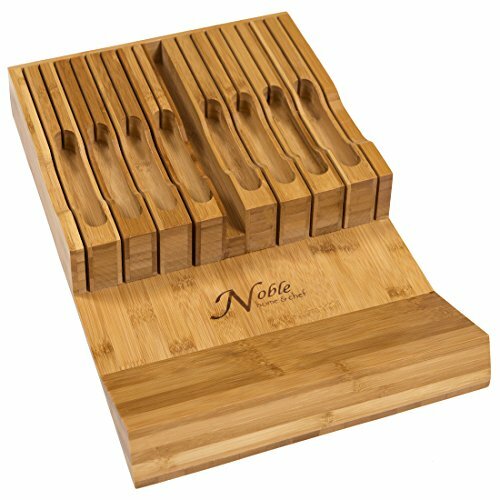 If you have any questions about this product by Noble Home & Chef, contact us by completing and submitting the form below. If you are looking for a specif part number, please include it with your message.